This 13.3 acre property is located in the town of Hatillo and has almost 100 meters of paved road frontage. Hatillo is a small town where everyone knows each other. It has a few small grocery stores, a few bars, and a small restaurant. It is located approx 5 min north of Dominical and 5 min from several beaches including Playa Guapil, Playa Linda, and Playa Matapalo. The majority of this property is flat and usable. It has power and water. The land could be used as a small working farm or it could be segregated and sold in smaller parcels for profit. It would also make a great family compound. The paved road frontage offers commercial opportunity. 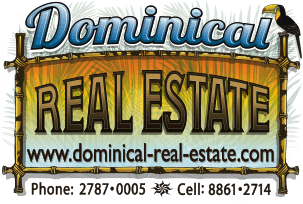 The property is gated and is actaully part of a 9 lot development with several ocean view lots that are for sale. You could buy one of the ocean view lots and built your house above and have your farm with animals below. The community has an onsite caretaker to maintain the properties and help with landscaping and upkeep. He can also help work on the farm! !